Bolbaddh ras is an effective astringent and styptic. An excellent tool for the prevention and restoration of health with stomatitis, hemorrhage (e.g., bleeding from the nose), menorragia (excessive discharge of blood during menstruation). Helps to eliminate the effects of bleeding, such as fatigue, irritability, loss of appetite, redness in the eyes. Indications: bleeding, infections, especially urinary tract, ulcer bleeding, hemorrhoids, fever, imbalances of blood and the Pitta doshas. Content: Giloy, Shuddha Parad, Shuddha Gandhak, Bol. Original name: Bolbaddh ras 80 tab Baidyanath. 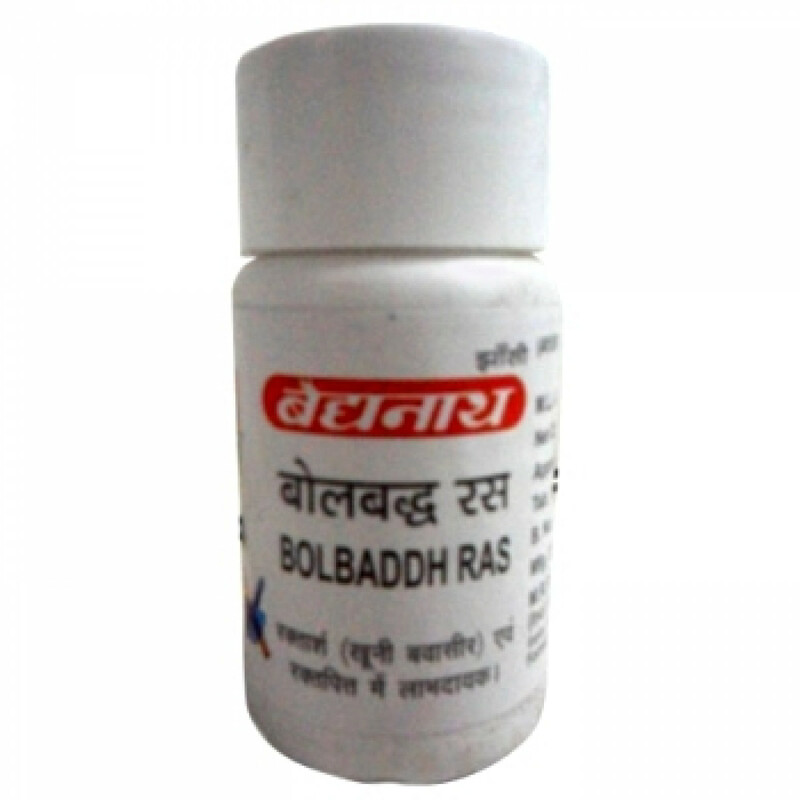 In our store You can buy authentic Bolbaddh ras, 80 tab Baidyanath at a bargain price!